From the background: Students in many science classrooms are presented with the scientific method as the fundamental plan scientists use to gain their understandings. Scientists throughout history have come to their conclusions in a variety of ways, not always following such a specific method. Interestingly, even when scientists do use the scientific method, they rarely use it in the stereotyped, step-by-step way that schools tend to teach it. 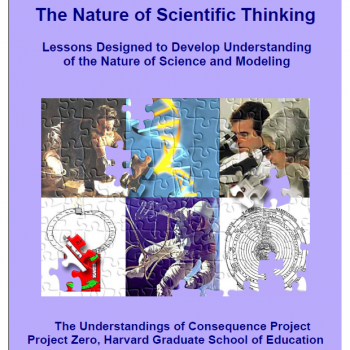 This is a curricular unit that helps students understand why and how scientists think through their process.